We are co-oping with Roseville Girls Lacrosse again for the Summer 2019 Season. If you are interested in playing Girls Lacrosse please register with Roseville using this link. 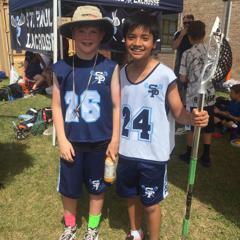 Age divisions are set by US Lacrosse. Practice and games will be held in the rain. If a storm happens during a scheduled event all players must leave the field. A game can not continue until the environment is free of lightning for 30 continuous minutes. If it is storming prior to a scheduled event we will contact you at least 30 minutes prior with a cancellation decision. US Lacrosse offers a great introduction on what you need to know as a parent. Click here to check out their site.